Access All Areas members have a new set of textures to download this week, courtesy of Fox & Bear. 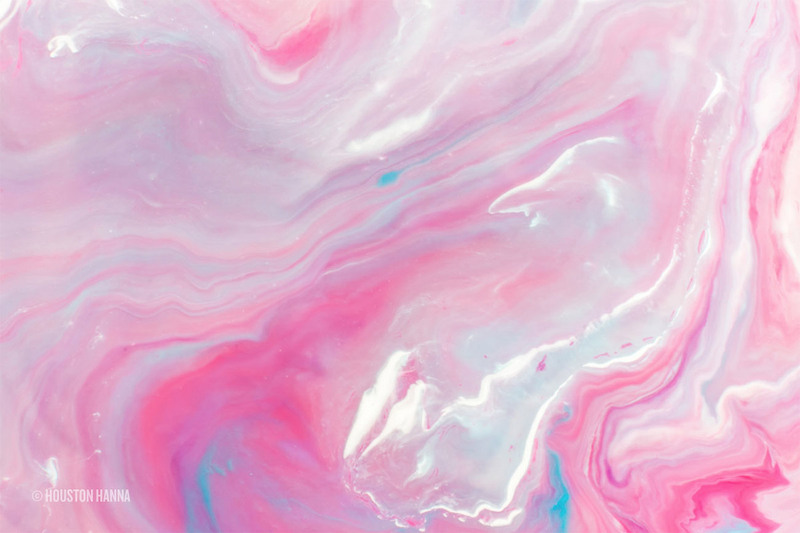 This collection of Modern Marble Ink Textures features 24 high resolution macro photographs of the effect created by coloured dye when dropped into water and creamer. The result is a beautiful display of gradients and colours, which form interesting backgrounds and overlays for your design projects. Fox & Bear is the creative extension of Houston Hanna, a fine arts major turned designer. Houston has always loved finding new ways to merge traditional techniques and mediums with digital to create new and beautiful works of art. In his Creative Market store, Houston has a collection of marble texture packs available, with a wide mix of colours and patterns throughout each volume. This collection of 24 beautiful and modern marbled ink textures/backgrounds is now available for Access All Areas members to download. Each image features a natural marbling pattern with various colours, including soft blues, pinks, peaches and creams. Use them as backgrounds to your designs, or overlay the textures with different blending modes to allow the colours to interact with other imagery. I’ve downloaded this file twice and it keeps giving me an error message when I’m extracting it saying that the folder is empty. This has never happened with any of your downloads before. I was just checking to make sure it wasn’t my computer. Hey Erin, I’ve just tested the file and it seems to unpack fine on my machine. It is a fair size so it might be worth checking that the file fully downloaded before it was extracted? Wow! These are beautiful, in an earthy kind of way. I likes! Thank you and a big thanks to Fox and Bear! I’m glad you like them Su! These are gorgeous. Thank you so much! Nice work Fox and Bear. Thanks for making them available Chris. Thanks for this helpful stuff. Really enjoying your articles! Best regards from Germany!